Lloyds Avios Rewards credit cards now fully closed to new applicants? The Lloyds Avios Rewards credit cards were closed to new online applications on 1st March as we wrote here. At the time, Lloyds told us that you could continue to apply via telephone or in a branch for a limited period. That period appears to be over. A reader tried to apply this week by telephone and in a branch and was rebuffed on both occasions. Apparently it no longer even appears as an option on the branch IT system. On the upside, as Lloyds made some in-branch applicants watch two videos on ‘how to use a credit card sensibly’ before they would process the application, this may be for the best ……! I am told, however, that we may not have seen the back of these cards for good. How Lloyds expects to compete with a £24 Mastercard earning 0.25 Avios per £1 when Virgin Atlantic now offers a free Mastercard earning 0.75 Flying Club miles per £1 is a different question. When Lee won our Christmas Party raffle …. 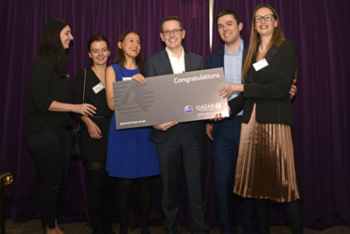 If you were at our Christmas Party in December, you will remember that the star raffle prize was a business class ticket to any destination of your choice on Qatar Airways who generously sponsored the event. “I thought I would send you both an email to say I took the Qatar Airways flights that I won at the HfP Christmas party to Tokyo and arrived back last week. Qatar Airways exceeded my expectations and the whole trip was excellent. I exchanged a few emails with Qatar Airways to arrange the flights and gave a selection of dates that suited me in the hope they could arrange one of the flight combinations. I also asked them if it was possible to get on the A380 and the 777 Qsuite so I could experience all of the best cabins and to my surprise they managed to arrange exactly that for me! A week before I went they changed the 777 Qsuite flight for DOH-LHR to an A350-900. This was a brand new A350-900 with Qsuite which was delivered a week before I flew on it! The A380 daytime flight (10:50) from LHR-DOH was excellent; the seat was really spacious and very comfortable, Bric’s amenity kit, Lanson champagne, and crew that couldn’t be more helpful. The whole flight had just over 90 people on-board; 12 in business, 0 in first, 69 in economy. The business class cabin had almost 1:1 crew to passengers! I had some really good food and wine during the flight, and also visited the bar and stood chatting to the crew who were running the bar for the flight whilst sampling a couple more drinks and snacks. I had a 6.5 hour connection in Doha on my way out, but that was fine as I got to experience the amazing lounge, showers, restaurant, and bar before taking the ~12 hour late overnight flight to NRT. There was plenty of food available in the restaurant and the staff were pleased to help wherever they could. It was also refreshing to get a shower before the next long flight to Tokyo. The 777 to Tokyo was a 2x2x2 business class cabin and had loads of room at each seat. I didn’t have anyone next to me so I had even more room and nobody to disturb when moving from the window seat. Although it wasn’t quite as comfortable as the A380 I managed to sleep well for the first half of the flight which was great for an evening landing in Tokyo and fighting off the jet lag. Again, the crew, the food, the Giorgio Armani amenity kits, The White Company sleep suit, and lie flat bed, all very good! The flight was about 45 minutes late taking off due to a technical fault but this was quickly resolved and they kept us updated throughout. As it was a 2:20am flight, I was glad to finally sleep! Coming back from NRT to DOH, I visited the JAL lounge and had some excellent Japanese food before the next overnight flight (22:20) on the same 777 with a 2x2x2 cabin. I had a middle aisle seat on this flight which was just as comfortable and as much room as the DOH-NRT flight. The service may have been slightly slower than outbound but it was completely full in comparison and an evening service to contend with, but still all the crew were very attentive throughout. I had shorter connection on the way home in Doha of 3 hours which meant I could have another quick shower and get ready for the last flight in Qsuite, right at the front in 1K! I didn’t know at the time that it was a brand new plane but I did notice a number of times how it had that ‘new car/plane’ smell! The crew showed me to my seat and explained where and what everything was and had the champagne and hot towels ready to go. My first thought was “this is amazing, it’s an actual suite with a closing door!”. As it was a daytime flight (06:35) back to LHR I didn’t have any reason to sleep which was good because I could experience the Qsuite, but not so good because I didn’t get to see how well I slept! Just like the other 3 flights, the crew were excellent, the food was fantastic, more Bric’s amenity kits, and an ultra-comfortable seat (which probably had less than a dozen people in it) with a large and really responsive touch screen entertainment system. The crew popped by every so often to see if I wanted anything and were always available otherwise. I didn’t see much of the other suites, but the double and quad suites look fantastic for travelling with other people. We landed back in Heathrow on time and the staff waved us goodbye, and I realised how much I wanted to fly with Qatar Airways again! This is the first time I’ve flown with Qatar Airways after having many flights with BA and continued loyalty with them. Other than a few minor things with BA they’ve always been good and I’ve always been loyal. However, Qatar Airways are on a whole new level with their service and business class cabins. Tesco Direct has brought back its Tesco Clubcard bonus deal with LEGO Star Wars which gives you a chance to pick up Avios or Virgin Flying Club miles along with the toys. Full details in this Shopper Points article. If you’re an Executive Club Member you can have one 23kg bag included in your reward flight costs when you’re travelling with our partner Flybe*. Unfortunately, due to different systems being used we’re currently not able to display your baggage allowance when you make or view your booking on ba.com or via our contact centres. So does that mean I get one bag of 23kgs even though it says hand baggage only? Slightly confused – you mention ‘ £24 Mastercard earning 0.25 Avios per £1’ but there is still the Amex which earns 1.25 per £1. We use it as our main overseas card for the zero FX fees (and of course the upgrade voucher). Incidentally, I also have an old TSB Avios Duo Amex/MC account, from the days before the split with Lloyds. Ever since the TSB IT fiasco, and semi-recovery, I note that the account is now called ‘Avios (MC)’ and referenced by the MC card number whereas before everything referred to the Amex card number. The Lloyds account is still referenced to the Amex card no. Which Amexcard charges no Fx fee? He is referring to the Llyods Avios AMEX – they come as a double pack with a mastercard. Both are FX free. The AMEX comes with enhanced earnings rate of 1.25 avios per £1 spend. The Amex will be gone soon, American Express have cancelled their licences for co-brand cards, and there’s no benefit to anyone offering one now (as the interchange is capped), so the days are numbered. I believe this was the last one available to be applied for, since MBNA pulled all theirs last year. OT – let’s say you redeem a BA Amex 241 voucher with an open jaw flight such as LHR-LAX and LAS-LHR. Then you use avios or cash to book LAX-LAS and would like to fly on same date of arrival at LAX. Can you have this flight added to the 241 ticket so BA is liable in case of missed connection? No. The LAX-LAS flight would be on a separate ticket and therefore will not be added to form a ‘thru booking’. Any delays would be the responsibility of the LAX-LAS carrier and not BA. …sorry, I meant any delay to you LHR-LAX flight causing you to miss your LAX-LAS flight would be your responsibility. Thanks, that’s what I thought. More fundamentally, LAX-LAS is impossible on a 241 as it is operated by AA not BA. Are they able to put it on the same ticket though? Avios.com do it for me – I’ve added extra flights onto a voucher booking to take advantage of lower taxes ex-EU (full price BIO-LHR added to an upgraded LHR-SCL). I think the Lloyds vouchers are processed differently to BA though. BA might be able to, but they won’t. They won’t even link bookings for family members on the same flight. They will if you are Gold, apparently, although I have never done it. They do if you’re Gold – I do it whenever we use 2 * 241 vouchers so the family can travel. Means the whole party get seat selection and, apparently, will be looked after as one group should something go technical (never tested the last part). You have to call to do this. Partner just got the Lloyds card processed last week, must have just missed the cut off. Main question is how do they know where to send the Avios / upgrade voucher as they never asked for a BAEC number, we don’t have an Avios.com account (and it’s going to be all rolled into BAEC anyway isn’t it?). They also didn’t offer clarity on whether supplementary card spend would count towards the £7k for the voucher and also get double points (it should I feel, but would be nice to get reassurance). I believe the MasterCard is fairly useless unless you need to use Curve to hit the £7k target for the voucher (don’t think it even gets double points in the first six months). A question I have is what would be the best portfolio of cards for ~£2-£2.5k per month spend. If you have the BAPP and the Lloyds Avios card and you pull off all the little tricks and achieve £27k spend a year that is potentially two 2-4-1s and an upgrade voucher (useful for positioning flights for an ex-EU/Cairo). Is it worth replacing any of these cards for the HSBC World Elite card? Supplementary card counts towards the spend. Lloyds have never managed to send my avios anywhere, I have/had an Avios.com account and I’ll be interested to see if the changes to send them to my BAEC account will work. If you have issues with the transfer of avios, register a complaint and you should get compensation. Sadly, my Lloyds account has always worked perfectly so I have received no compensation. My wife’s, however, is a different, happier, story with no Avios awarded and no statement but £850 compensation so far. That’s impressive, I’m only at £400. What’s the process for manually getting the avios / standard compensation due, do you go to the standard complaints section (https://secure.lloydsbank.com/retail/contact_us/how-we-can-help.asp)? And do you have to mention compensation specifically or should they automatically add it (as a statement credit or actual money)? I’ve called to check and when they say it takes 26wks to sort it out (yes weeks) tell them that you’d like to complain. The compensation is given so that you accept that it may take some time to sort it out and the complaint is closed. I believe that there are financial legalities involved, I just accept the comp. You may not have an issue, the transfer to BAEC may work fine. Yes, keep on at them. This year I’ve had £350 compensation, 12,000 extras avios and 3 upgrade vouchers! Has everyone had their avios credited yet following the years of technical difficulties with the Lloyds cards? After two years and £300 of compensation, I have received a letter saying all avios are credited, and on my avios statement its says they were credited in 2016 – but I am certain I never received them (otherwise why did they pay the compensation?). When I rang about the 4500 refer a friend bonus I am still owed, Lloyds said I would have to call avios! Amazingly my wife just received 405 Avios for Mastercard spend; the first (automatically) since she took out the card several years ago. Nice trip report. Glad you enjoyed the prize. I did the a380 DOH to CDG last month (business was full) and liked the bar a lot. The snacks in glasses (things like salmon and soba noodles or cheesecake) were very good. Well done, Lee, good to hear you had such a great time! Thanks, Graeme. Great flights and a great trip, all very good! Thanks, Kevin. Yes, the bar, snacks, and drinks are all very good! I thought it was just me this morning . I typed my message then clicked submit , but nothing posted. Also, when I post Rob, I receive an error message to say I am making multiple postings and need to slow down ! OT: I assume that there is no bonus running at the moment for adding a supplementary card holder to a BAPP card? I got the bonus this week for adding my wife, I waited until targeted link appeared in the app. I screen shot it in case the avios didn’t appear, although seems no need as points already credited (card not yet arrived). I got 3,000 for adding my wife in the last few weeks. Not everything is advertised. Interesting! Any idea how long you had to wait for the offer to appear? My newly churned card arrived this morning. It will be a bit harder to hit the spend target with just one card but it would also be good to get the bonus! As I said ‘Not everything is advertised’. No offer appeared; I left it a week or so and just applied. Thanks. I will leave it a couple of weeks and do the same! Link to the source will be appreciated. The voucher is such an underrated benefit. I save circa 78k avios flying to Asia every year. The only pain point is that a return has to be booked, it would be much better if it were two one way vouchers to mix and match with availability. OT – I can’t add my SPG account on my Amex account to move MR points. I think I read here that there is a little trick? Adding zeros? Or am I mixing with something else? Add 0000 at the front. Do you need to add the four leading zeros on an SPG Amex application as well? No, it is just a Membership Rewards thing it seems. OT- don’t seem to be able to comment on old threads anymore. I am sampling the new LBA lounge. The White Rose- certainly a step backwards. Cold, like being in a corridor- well it is in a corridor with no walls, clinical, white, no privacy. Only a couple of sockets in the whole room. Manned bar but no-one is manning it. Dodgy buffet and some slop dish (must have BA caterers) . Now the food was always ropey but it was warn and cosy before and you could help yourself- cant even get a coke here. It is like being in an open plan office. Certainly not worth paying to access. The other guests have now given up and are considering raiding the bar. If it is meant to be a business lounge it needs to have business facilities-plugs would be a start. Do the people who design these places ever travel? Thanks. I had a feeling, looking at the pictures, it would be like that. Dear Lee, thanks for sharing the flights experience with Qatar to Tokyo. My partner and I also had the same flight last year November with Qatar to Tokyo in Business class but unfortunately not with the QSuites. We flew from AMS-DOH-NRT on the way out and then HND-DOH-LHR and with A380 on the way home. The services provided from ground staff till cabin crew are all the best i ever experience. The outbound from DOH-NRT in 2-2-2 configuration not really comfortable as you have mentioned but the return on A350-900 from HND is absolutely fantastic. Looking forward for my next flight with them to Kuala Lumpur in August. Calvin, I agree with the 2x2x2, not quite as comfortable as the others. I guess as they are the original business class cabins and slightly older planes that’s to be expected. It could also be the A380 and A350 are so very good, it makes the 777’s appear not as good! Hopefully you’ll get Qsuite next time, I’m definitely looking out for it again. It’s nice to hear the service is consistently really good too, QR staff and crew are excellent. Hi Russell, thank you so much for trying to reply! Tom pointed me in the direction of the right page and I’ve found it now!